Prosopis glandulosa (mesquite) is a perennial, woody, deciduous shrub or small tree. It forms impenetrable thickets that compete strongly with native species for available soil water, suppress grass growth and may reduce understory species diversity. Multi-stemmed shrub, branches with zigzag shape. Bipinnate leaves generally dark green but can be bluish green, leaflets 5-15 times as long as broad (20mm long). Flowers are yellow and grouped in dense drooping \"lamb's tail\" spikes. Seed pods bean-like (10-20cm long) with slight constrictions. Spines above axillary bud. Occurs over climatically diverse regions, grows well on all soil types. Thrives in high temps >38°C. Moderate frost tolerance. Moderate salt tolerance. Pods high in sugar (16%) and protein (12%) and so are sought by animals. Seeds viable 2-50 years. Maturity 2-5 years. Flowering commences in summer. Seeds mature 35-40 days after flowering. Plants may be deciduous. Seeds germinate after warm temperatures and rain, these conditions may occur only sopradically. Spread facilitated by grazing animals. Seed production and suckering (dormant buds below the ground, stimulated by disturbance). Review: Craig Walton, Senior Policy Officer (Ecologist), Land Protection, Department of Natural Resources and Mines, Queensland, Australia. 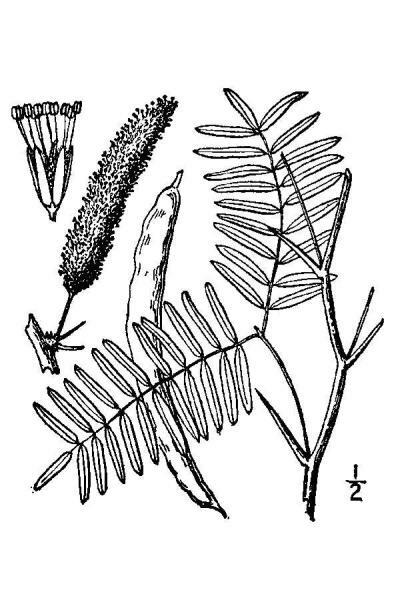 Recommended citation: Global Invasive Species Database (2019) Species profile: Prosopis glandulosa. Downloaded from http://www.iucngisd.org/gisd/species.php?sc=137 on 22-04-2019. Rapidly outcompetes understorey plants resulting in complete loss of grass cover. Erosion is exacerbated by allelopathic affects of ground litter. 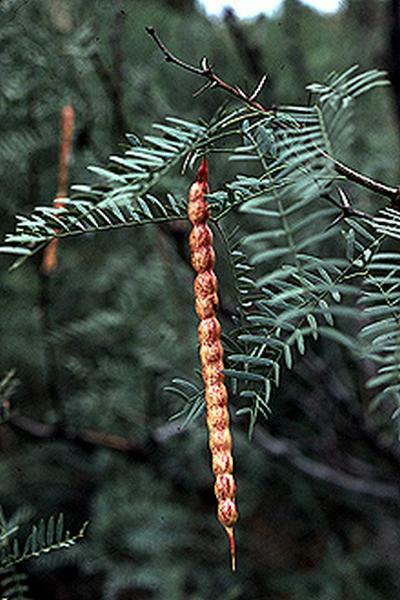 Preventative measures: A Risk assessment of Prosopis spp. for Australia was prepared by Pacific Island Ecosystems at Risk (PIER) using the Australian risk assessment system (Pheloung, 1995). The result is a score of 20 and a recommendation of: reject the plant for import (Australia) or species likely to be a pest (Pacific). 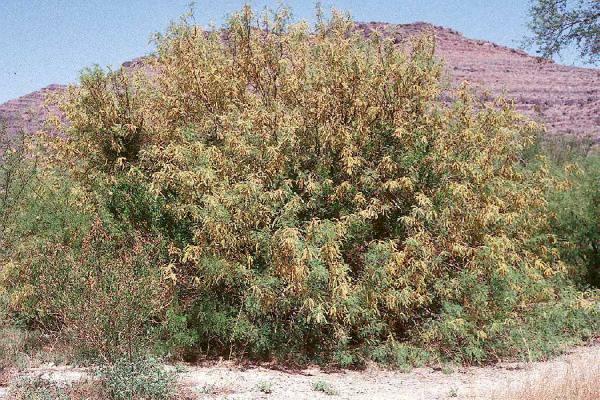 The Best Practice Manual Mesquite Control and management options for mesquite (Prosopis spp.) 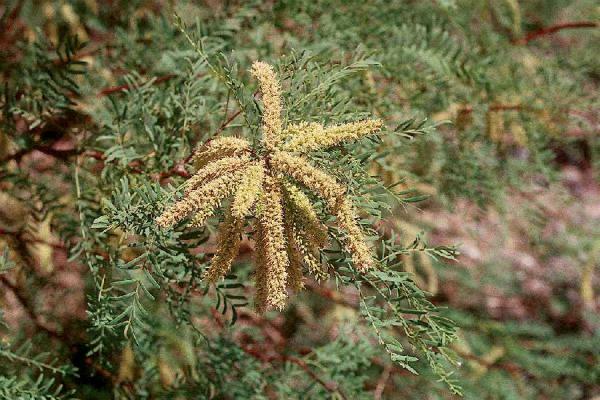 in Australia aims to provide the most current information on mesquite in Australia. The control and management options presented in this manual are the combined results of years of trials carried out by many dedicated researchers, landholders, herbicide companies, government officers, landcare groups and others. As mesquite species respond differently to control methods, the most effective method or combination of methods will vary depending on the size, density and species of mesquite present. The manual includes a 'mesquite control tool box'. Included also are a number of case studies to demonstrate best practice. Informations on Prosopis glandulosa has been recorded for the following locations. Click on the name for additional informations. Agriculture & Resource Management Council of Australia & New Zealand, Australian & New Zealand Environment & Conservation Council and Forestry Ministers, 2000. Weeds of National Significance Mesquite (Prosopis species) Strategic Plan. National Weeds Strategy Executive Committee, Launceston. Summary: This site provides information on the strategy for the management of Mesquite (Prosopis). Documents available for download include the strategy, Mesquite control manual, brochures, posters and current and potential distribution maps. Osmond, Rachele, 2003. Best Practice Manual Mesquite Control and management options for mesquite (Prosopis spp.) in Australia. This manual is sponsored by the National Weeds Program (Natural Heritage Trust) and the Queensland Department of Natural Resources and Mines.